I’m not a political strategist, but I think the second one is a yard full of junk and won’t lead to any votes for any of these candidates. But all is not wasted if the candidate’s supporters choose to act in this manner. As cyclists, we can recycle the sign material for a variety of uses. The signs are made of coroplast which can be used for fenders and seat bags. 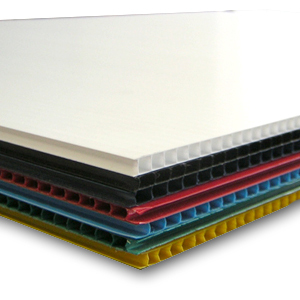 Coroplast is corrugated plastic which makes it sturdy enough for seat bag use. It can be folded with the use of a straight edge and tied together using zip ties. I first read about using coroplast on Kent Peterson’s blog. Over the years, he has posted several projects (fenders, panniers, handlebar bag) that show how creative you can get with coroplast. The coroplast projects don’t look as nice as commercially made bags from Revelate or NoLogo, but they are functional, cheap, and fun to build. 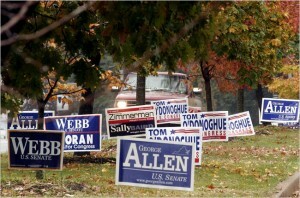 After the elections are over, you can drive around and pick up several signs to use for your corplast projects. Think of it as re-cycling, not stealing, since all of the coroplast will probably get tossed out after the election. 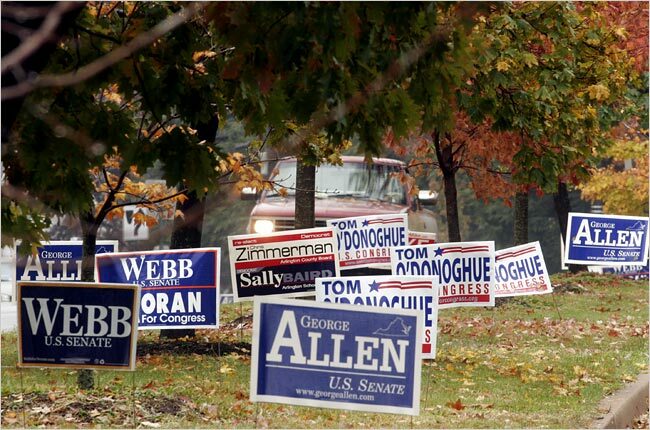 Some candidates even put up large 4’x8′ coroplast signs. I haven’t tried to aquire any of these, but you would need to contact the candidate’s office to see if they would let you use them after the election. If you’re in to politics, here’s the best part of the process. You can pick a candidate you don’t support, cut up their signs to make your bags, and then paint over them like they don’t exist. 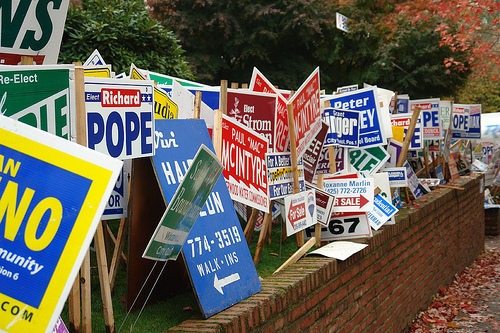 I don’t get that hung up on politics so I look for the best signs to use after the elections are over. Please wait until the elections are over to grab signs. It’s not cool to take signs earlier, even if you don’t support the candidate. Starting with some posterboard as a template, a couple of coroplast signs, a handful of zip ties, and some spray paint, you end up with a fully functional seat bag. It’s not completely waterproof, but if all gear is stored in a plastic bag, rain and road spray won’t get into your gear. 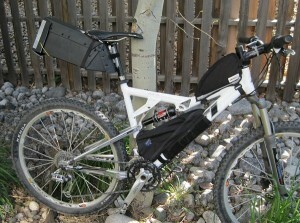 Below is the latest seat bag I have made. I have also made a seat bag for my singlespeed bike. Check back on Friday for the full details on how to construct a coroplast seat bag from all of the political “waste” that is sure to be generated this November.